I cannot speak for all traditions of Christianity throughout history or geographical locations, and I will thus speak from my experience growing up in the United States evangelical church. I grew up in a Southern Baptist church, but I visited many different varieties of evangelical churches, especially as I searched for a church in college. In fact, my entire freshman year was spent “church shopping”: exploring the many different church options in the city of Wheaton, IL. According to one article, “The Genius Edition of Trivial Pursuit states that Wheaton has “more churches per capita than any other town in America.”” In the evangelical world, a pastor would typically prepare a sermon, analyzing a Biblical text through the exegetical process, pulling out the truths, principles, and hope to apply to the congregation’s situation. In a 20-30 minute sermon, the preacher would start with the text, explain what it means, and then end up in an exhortation of some kind or another on how to better love God and neighbor in light of this new data from Scripture. The proclamation of Scripture always ended in an exhortation to find an enriched life in God through a change in action or a new framework of belief. There were exceptions in style, delivery, and content, but overall, most sermons followed this skeleton structure. TED is “a non-profit devoted to spreading ideas, usually in the form of short, powerful talks,” and these talks have evolved into a cultural phenomenon that begs for comparison with our traditional sermon. For TED talks are not just about spreading information or ideas; the speakers give statistics or research from science or the social-sciences, explain what it means, and then explain to the audience how to live a more fulfilling life in light of this new data. TED talks unravel what it means to be human by explaining meta data, relationships, psychology, and every aspect of human life. Using scientific data or qualitative research, presenters pack an informative, persuasive, and usually rhetorically excellent message into an aurally and visually stimulating package that is shorter than twenty minutes. Compare this to the Christian sermon in which the preacher uses Biblical text to create an informative and persuasive message into 15-25 minutes. Like hospices, hospitals, public schools, and university education, it seems that motivating people to live a good and fulfilling life–once a distinctly Christian endeavor–has passed into the realm of the secular world. The secularization of hospices, hospitals, and education is a good thing. Those were movements or institutions that were started as Christian missions and ended up transcending their own purpose, becoming bigger than the Christian originators themselves had envisioned and capable of managing themselves (Risse 1999, Wiebe 1966). These are examples of successful secularization. Are TED talks the successful secularization of sermons? Successful secularization involves moving beyond the theological reasoning and deals with effects and end goals. In order to answer the above question we must first examine the aims and goals of the sermon in terms of effect. Do TED talks accomplish what preaching hitherto accomplished or was intended to accomplish? The aims and goals of a sermon differ on a denominational level, a congregational level, and even on the level of an individual preacher. At the risk of painting too broadly, I venture to say that the goal of preaching is twofold: 1) to announce distinctive Christian hope to a world in crisis, and 2) to persuade congregations to live into their identity of children of God. The first is based more on belief, knowledge, and creating a framework and heuristic for approaching life. The second is aimed more towards behavioral effect. A sermon could aim to change one’s behavior or to reinforce the good one is already doing. Of course these two, belief and behavior, are linked, as any behavioral psychologist will attest, or as represented by the theologians’ saying, “Doctrine informs practice.” Successful sermons hit the mind, and they also inspire action. Do TED talks fulfill these two goals of sermons? 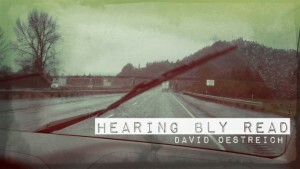 TED talks do indeed aim at creating in the listeners a reframing of belief. This is accomplished by adding new information to one’s knowledge bank, putting existing knowledge in new context, or by linking concepts together in a way that provides new perspective. TED talks also aim to affect behavior. They describe new actions one can do to improve one’s life and new data on old harmful behaviors. 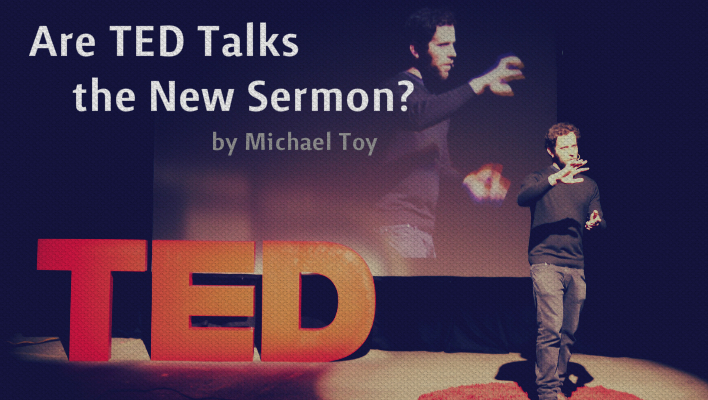 It seems like TED talks accomplish both goals of a sermon. The new framework of thinking might not be specifically “Christian” hope, but it aims at creating a healthy psychological framework. The new behaviors might not be distinctly “Christian” behaviors, but they do involve love of neighbor (often through love of self or self-care). A TED talk does accomplish the aims and goals of a sermon in creating new and healthy frameworks of knowledge as well as inspiring one to good works. But does this mean that we have come to the successful secularization of preaching? If one looks at the outside of a sermon, the texture, the tone, the exegesis and exhortation, it may seem like a sermon shares much in common with a TED talk; however, as a creedal Christian, I want to say that there is more to Christian preaching than what can be found in a TED talk. I want to say that there is something distinct, unique, and powerful about the Christian message and life. 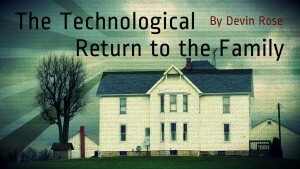 Only time will be able to tell if sermons come to be replaced by TED talks. But for now, it is up to the church to find what is distinct, specific to the church, and unique to Christianity not just in theological belief, but also in transformative effect. Bennett, Jane Marguerite. Aquinas on the Web? Doing theology in an internet age. New York: T&T Clark, 2012. Brynjolfsson, Erik. “Wired for Innovation: how information technology is reshaping our economy” MIT Press Books, The MIT Press, edition 1, vol 1, number 0262518611, January. Carr, Nicholas. The Shallows: What the Internet is Doing to our Brains. New York: W.W. Norton Co., 2011. Jackson, Maggie. Distracted: The erosion of attention and the coming dark age. Amherst: Prometheus books, 2009. Risse, Guenter B. Mending Bodies, Saving Souls: A History of Hospitals. Oxford: Oxford University Press, 1999. Schuchardt, Read. “God Does Not Post to YouTube,” Chapel Address given at Wheaton College on March 4, 2009. Wiebe, Robert. The Search for Order: 1870-1920. New York: Hill and Wang, 1966. And I want to say, “Amen!” Once again, Toy, I think you hit on something very real happening in the world today. I think you are right in identifying this sermonising trend in TED talks, but still claiming a distinctive Christian identity and power. I would like to see this developed with an understanding of “kerygma” brought in, because I have an intuition that that will provide the necessary leverage to distinguish between TED talks and sermons. It would almost be a transcendental reframing of TED talks — the kerygmatic sermon proclaims good news, exhorts a response to this news, and captives its audiences with its hope. TED talks do this, as well, but on an empirical level. Anyways, these are just some immediate reactions. I hope they’re at least understandable. Thanks for the feedback, Jeremy! I’ll definitely have to look more into kerygmatic theology. I’ve touched it only tangentially in Barth and Bultmann, but will definitely need to give it some more thought (this is what happens when a non-preacher tries to write about preaching). Maybe Jesus is better presented by those doing works of love, rather than traditional theology or religion? I gave a TED talk, but I don’t consider it sermonizing. I consider it a factual lecture. Many TED talks (and other “secular vehicles”) have deeply inspired me towards greater active and tangible love towards others. Is that not Jesus? Or maybe being a pastor is more than just talking up front. Maybe it’s visiting members with dementia when no one’s watching. Maybe it’s meeting with men who’ve had affairs and are trying to put their life back together. Maybe it’s giving popsicles to the middle school football team. Maybe it’s being a voice of the sacred in the midst of the secular. And maybe people might benefit from preaching in quiet ways as they see that person living it out in real time. …or maybe these attributes are intended for all aware human beings, not just salaried religious professionals. Maybe institutional models have deeply corrupted simple, organic Xn ecclesia?